Lily and Love Events can help with your event as little or as much as you like, ranging from planning your event, individual styling and offering event hire at competitive prices for a range of special occasions such as Weddings and Engagements to Kitchen Teas, Baby Showers and everything in between. With Theresa’s creative flair and range of professional contacts, she can work with you to create the perfect occasion. Contacts include flower wholesalers, invitation specialists, cake designers and graphic designers to offer you the best range of products for the best prices. 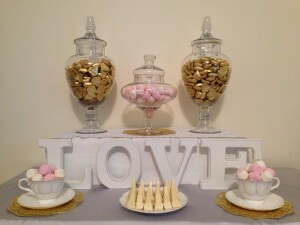 Lily and Love Events also work with confectionary and beverage wholesalers to ensure your event needs meet your budget.